Melinda Wrye-Washington, Columbia College volleyball coach, said her four-year middle hitter, Maria Omondi “is a leader on and off the court.” Omondi has no problem helping her teammates in anything they ask, and they say she is someone they can look up to. Omondi has only been in America for the past three years, leaving her family back home in Kenya. Omondi has 10 siblings all from the same parents. When asked if this was a traditional Kenyan family, she said that it was big even for Kenya. Omondi truly enjoys her Kenyan roots. 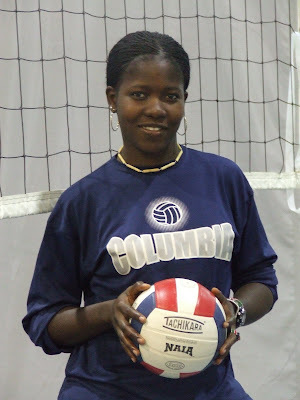 Omondi said she started playing volleyball in high school, but before volleyball she played soccer for one year. She said she stopped playing soccer after her freshman year because she got bored with it. When she watched her high school volleyball team practice, she said she was fascinated with the sport. She joined the practice and soon began playing with the team in games. The summer after her high school graduation she got the unique opportunity to practice with the Kenyan Olympic volleyball team for the Athens Olympics. 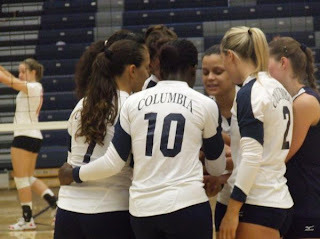 Omondi said practicing with the Olympic team was intense, and “it made me step up my game.” It was at one of these Olympic practices that former Columbia College volleyball player, Rose Obunaga, watched Omondi play and told Wrye-Washington about her. It was not long after that Omondi was signed to a full scholarship to play for the Cougars. She has been here ever since.